“While most interview questions are asked as a genuine way to evaluate a candidate’s ability to do the job, some may steer toward an unprofessional or downright illegal place. When it comes to obtaining personal information, responses could impact their candidacy because of discrimination or bias - regardless if it’s done intentionally. For more information about your rights when it comes to interview questions, you can visit https://www.gov.uk/guidance/equality-act-2010-guidance. 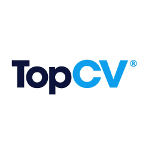 To read more about illegal interview questions, and importantly, how to avoid answering them, head over to TopCV’s blog.